Working The Assignment: Step 3 — Take Action! Two little poems from my Journal, paired with Grandfather’s vintage photographs — 1950’s -1960’s. Oh my gosh mamma, those pictures are AMAZING! Little Dawn horse leaping, you are so who you are 🙂 Love!!!!!! 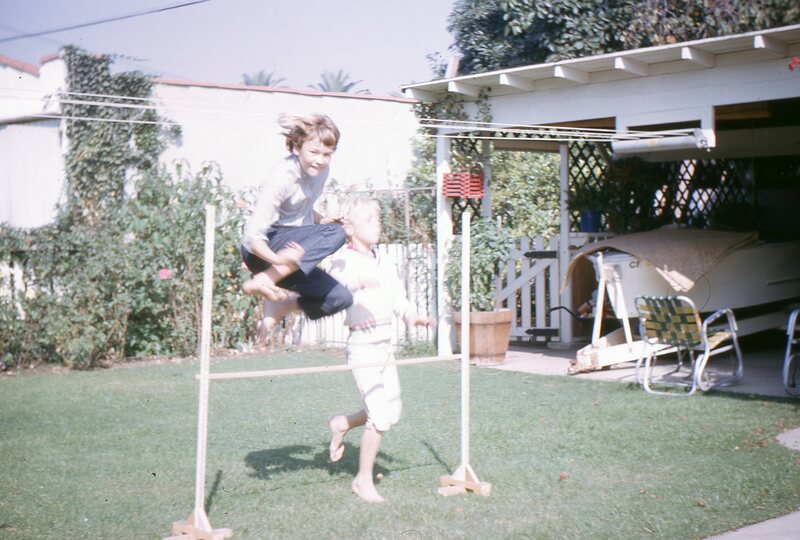 : ~ ) When we moved to Westwood after living in Malibu, I lost my beach, and needed something physical to do. 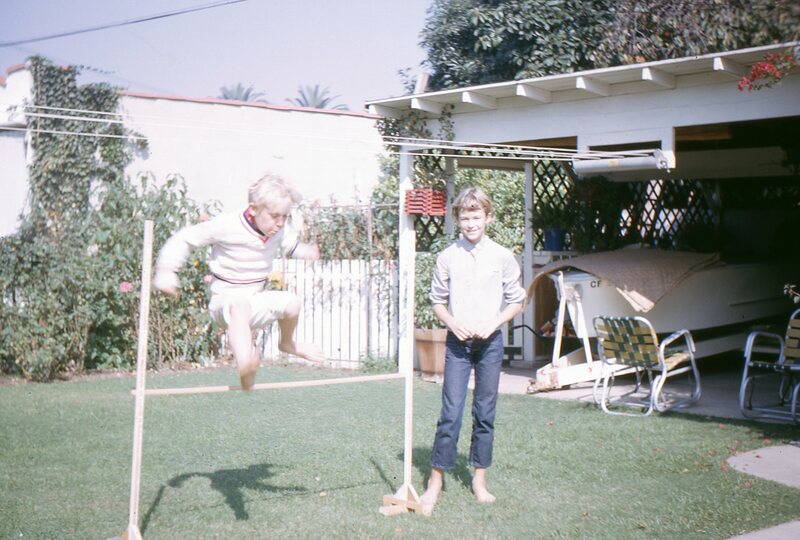 I always jumped everything I could find, cantering, like a horse (I thought ALL kids did this!). Grandfather offered to make me jumps, and JUMP we did! 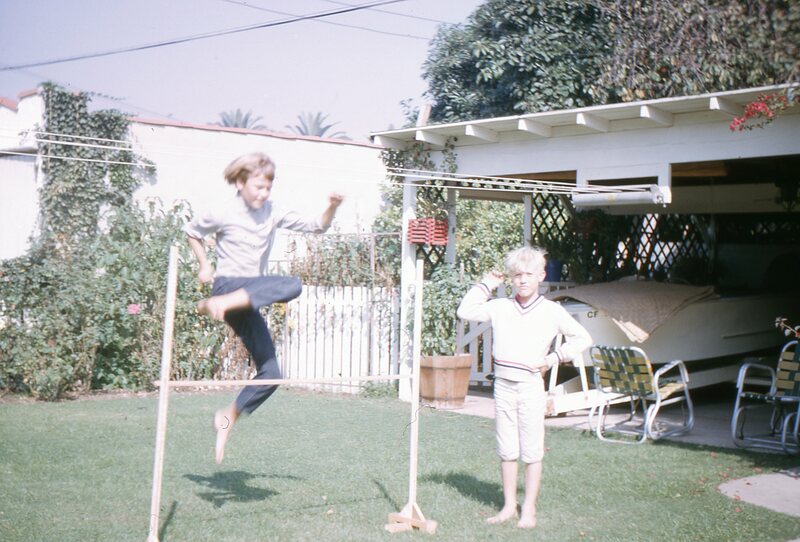 I remember clearing four feet! It’s neat to see this time-capsule shot preserved and digitized from Grandfather’s original slides. Thanks to cousin Andy for scanning and updating the technology! Hope all’s well in your world . . . Remember, Action is King!